Tracey and Mervyn Trindall wanted a large family home, so they extended the Elizabeth design from Paal, providing six bedrooms instead of four. “Enlarging a standard Paal plan is an efficient alternative to buying one of our bigger homes,” said Paal Kit Homes regional consultant Phillip Longhurst, who liaised with the Trindalls during the early stages. The family of six youngsters and two adults live in their new home on 10 acres at Reserve Creek in northern New South Wales. She and Mervyn both work fulltime, so built their home at weekends and after work. Initially they organised family working bees, then managed the rest themselves. Neither had prior building experience. “It was a learning curve, although not hard if you kept to the manual, which was very well written. If we ever got stuck, we rang John at Paal, who talked us through. His support was fantastic,” she said. Tracey and Mervyn did most of the work themselves, paying for trades help where specialist skills were needed. They employed a concreter, brickie, a roofer to work with Mervyn, and a finisher to complete the plasterboarding. “It’s so rewarding to live in a house that we built ourselves. 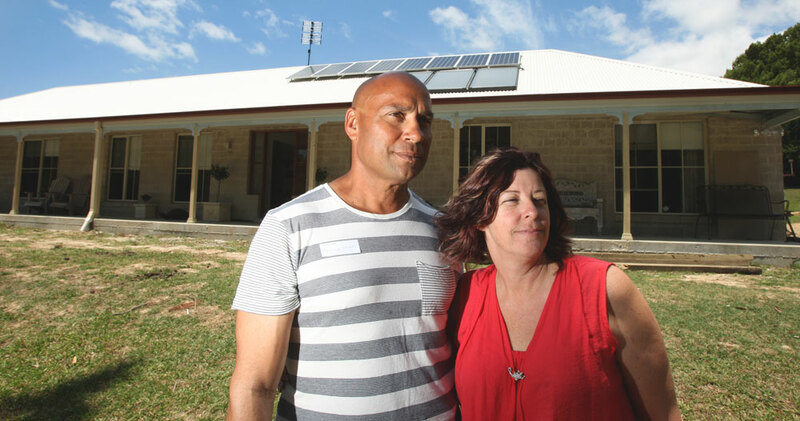 If Mervyn and I can do it with six kids, both of us working fulltime, and no prior building experience, then anybody can,” Tracey said. The Trindalls saved money. “It cost us around $240,000, whereas we would have paid a builder $450,000,” she said.